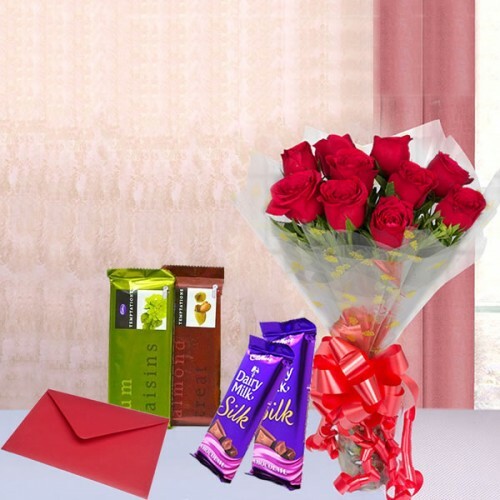 Beautifully decorated bunch of 12 Red rose, 2 dairy milk temptation, 2 dairy milk silk and a wishing card. Greeting card can be arranged according to occasion. This combo package can be deliver across Jaipur same day you place the order. For further details contact us: +91 9654 66 3355.